And now for something completely different. 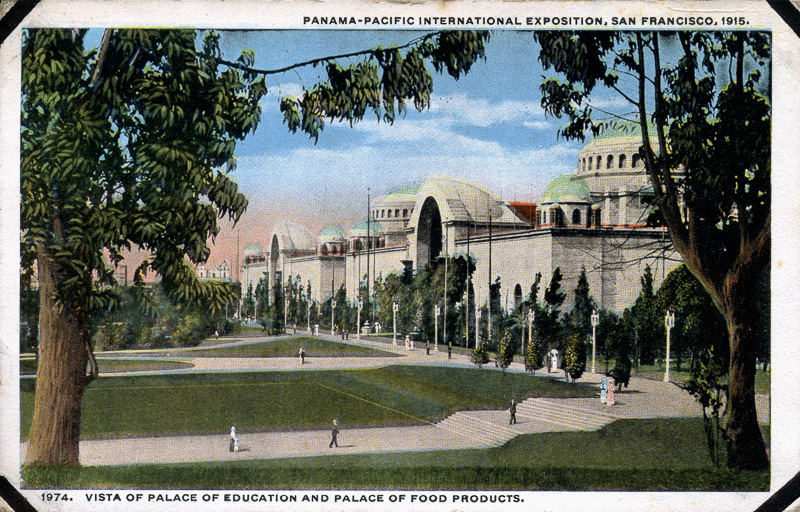 Three slide shows of 100 year-old postcards depicting the Panama-Pacific International Exposition of 1915 in San Francisco. 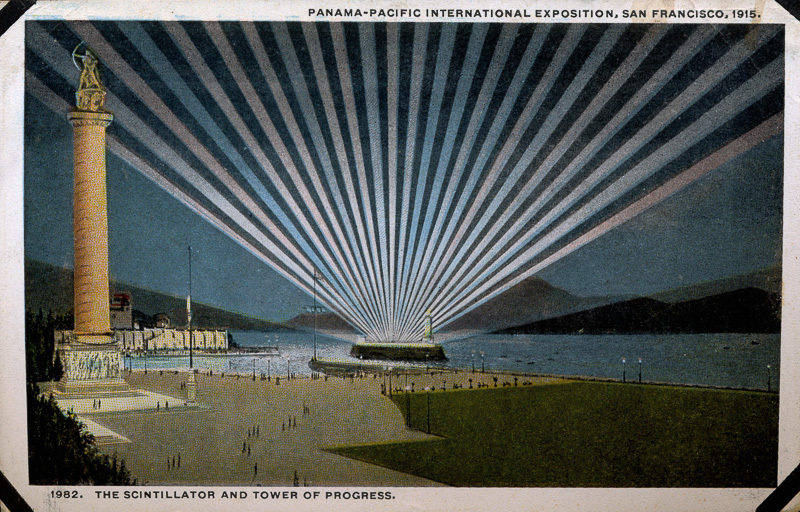 The Exposition was a very big deal in 1915 and postcards were the original tweets. 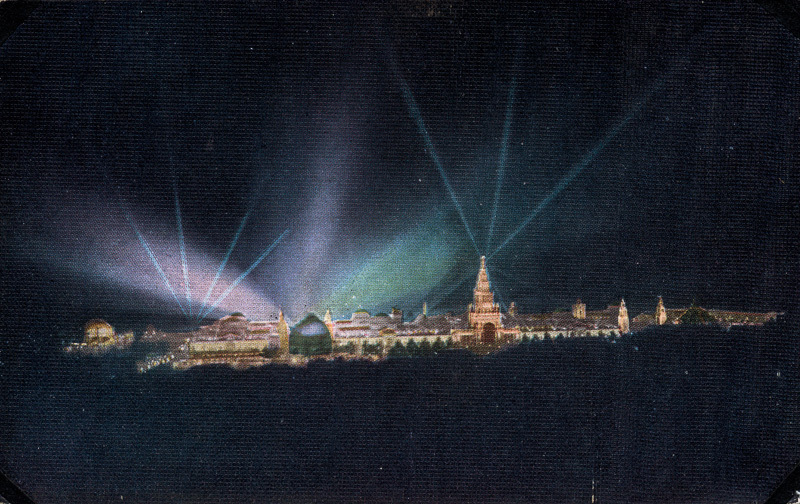 The Exposition. View looking north from the Presidio hills. Photo Cards. Contact prints on Post Card paper. 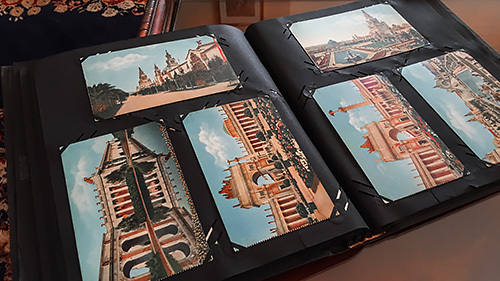 These particular postcards have been a family treasure for decades and sharing them through the magic of scanning is what a photographer does when inheriting an heirloom. 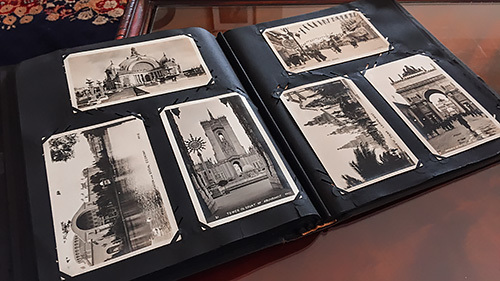 Bound in a black "Post Cards" album, there are three types of cards from the Exposition mounted on the black paper pages with slots cut out for the cards. 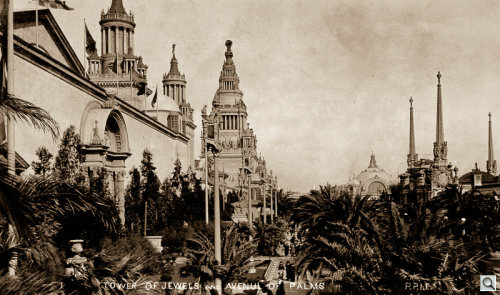 All of them are from what's known as the Golden Age of Postcards when it became legal for private companies to produce the cards. 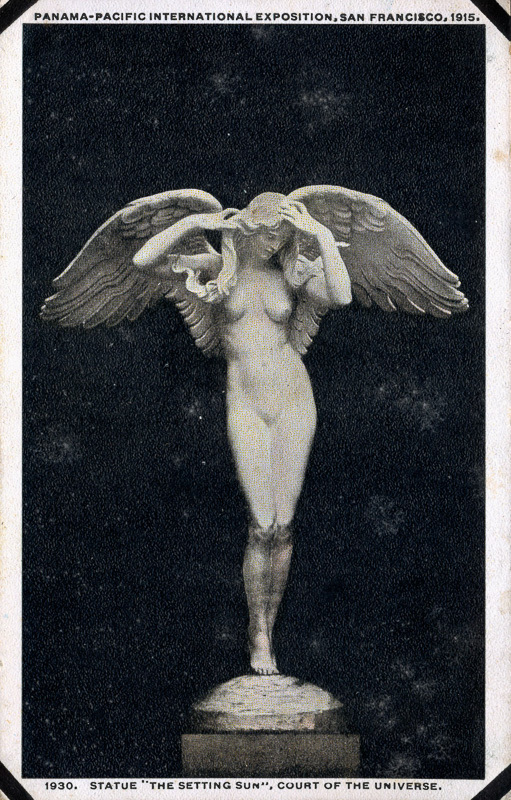 These cards introduced the divided back, which allowed a private message to be included to the left of the address, as we do today. 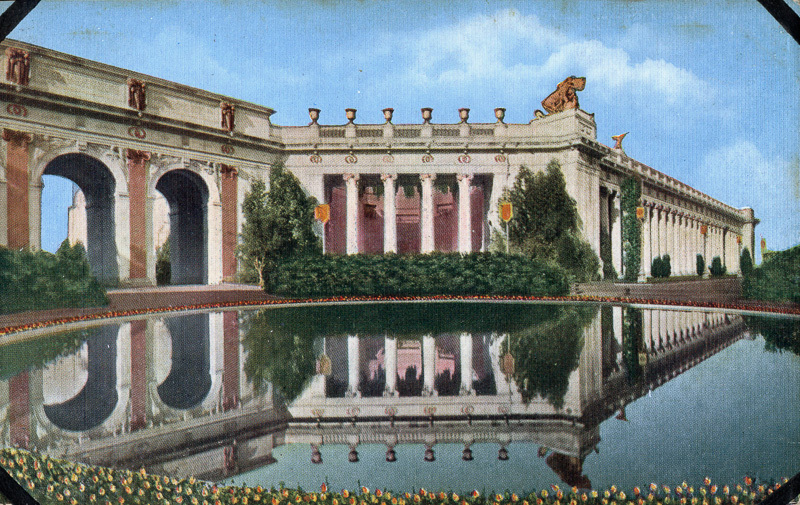 Two of them are color postcards and one a "real photo" black and white postcard. 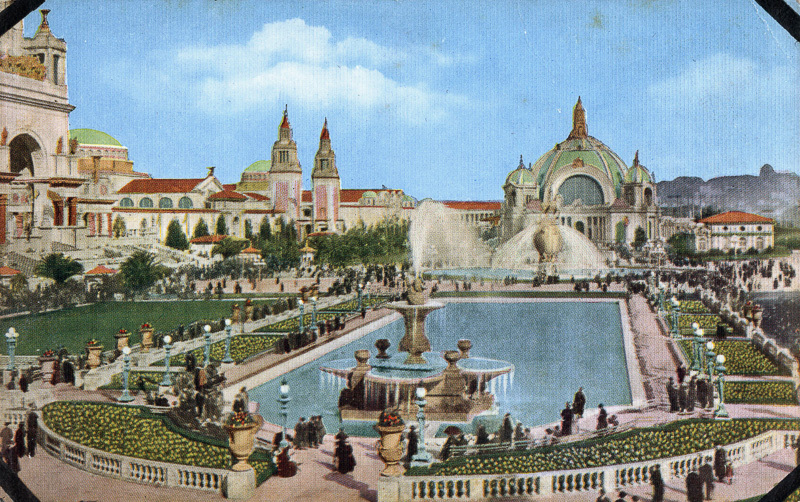 One type of color postcards seems to have originally been bound in a booklet and intended to be torn out for mailing. The textured-paper postcards are scored along the short left edge to make it easy to detach them. 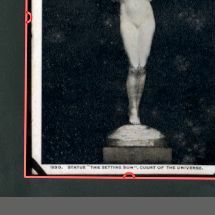 The "real photo" black and white card was produced by the a "postcard camera," which produced negatives that were 3.25x5.-inches, close to the 3.5x5.5-inch postcard standard. 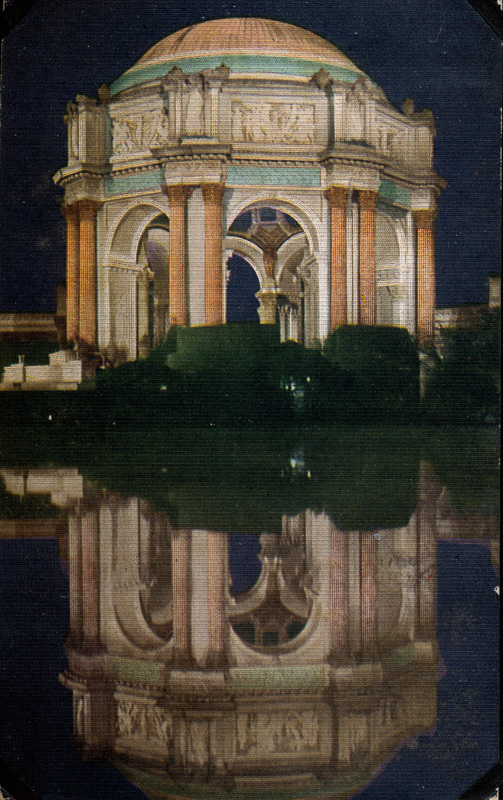 A postcard camera captured the image, then printed a postcard-size negative. 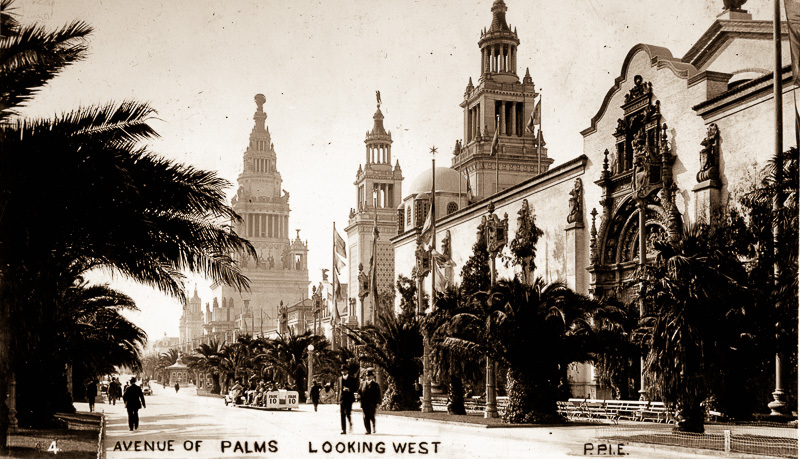 In 1902 Kodak sold a preprinted card back to make contact print postcards directly from those negatives. The No. 3A Folding Pocket Kodak introduced in 1903 was a popular camera for that. 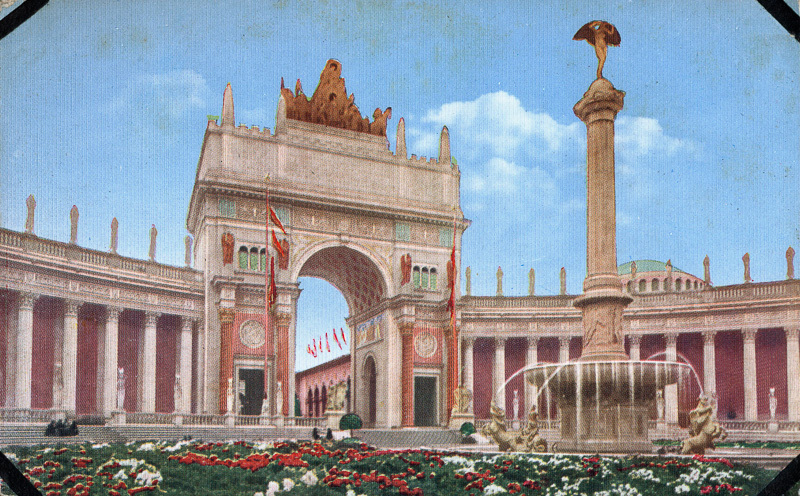 The other type of color postcards are White Border Cards, printed by American printers when German postcards became unavailable during World War I. The white border not only saved ink but was a bit more forgiving of bad trims (we can confirm) than the full-bleed postcards then popular. 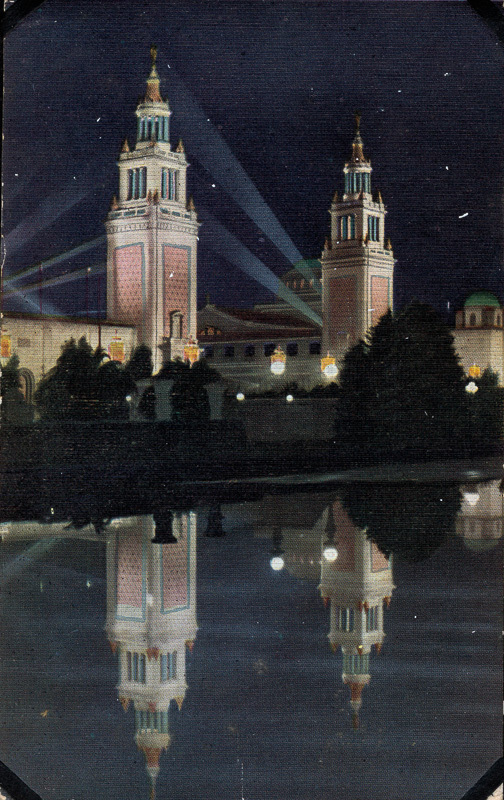 These are the first cards that included a description on the back of the card. 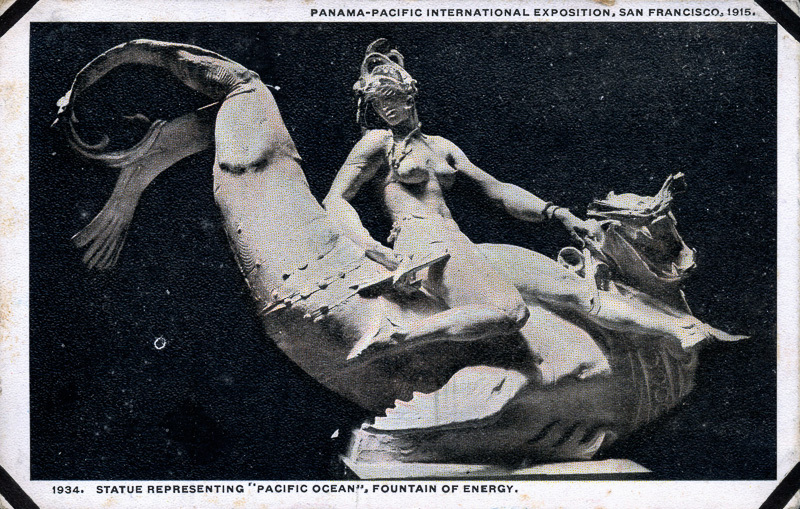 The 1915 Panama-Pacific Internation Exposition, a world's fair by any other name, fulfilled two functions. 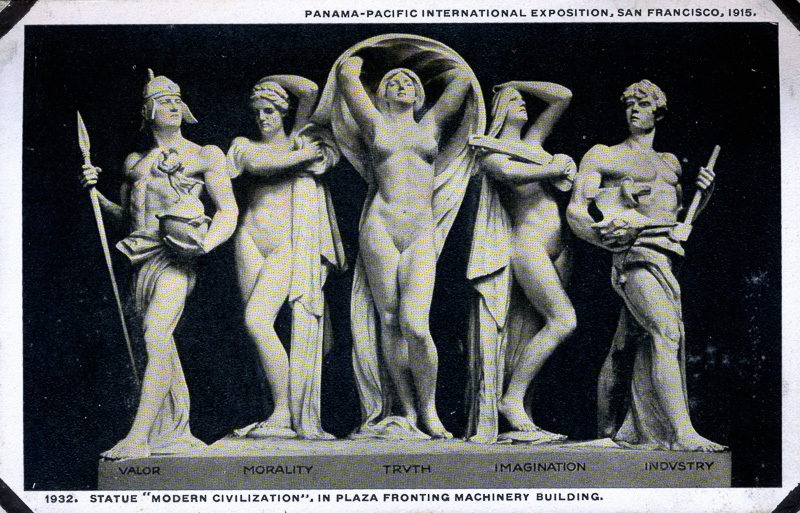 The official one was to celebrate the opening of the Panama Canal but the no less significant one was to show off San Francisco's recovery from the 1906 earthquake and fire. 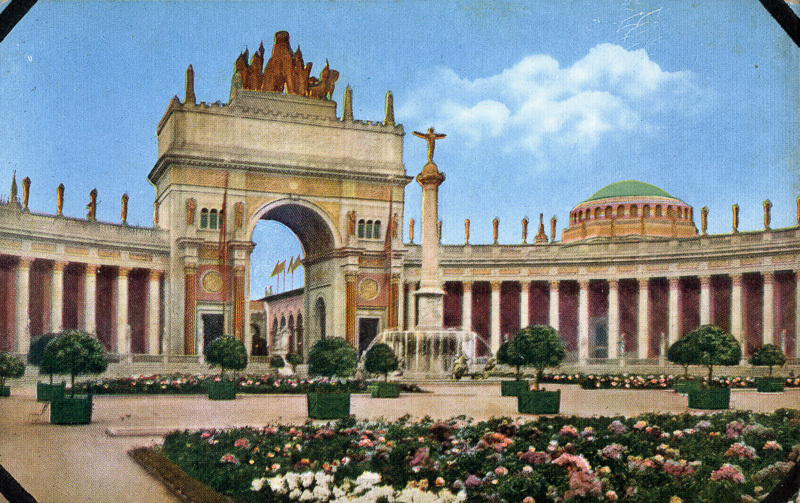 The Exposition Grounds. Scroll to see everything. 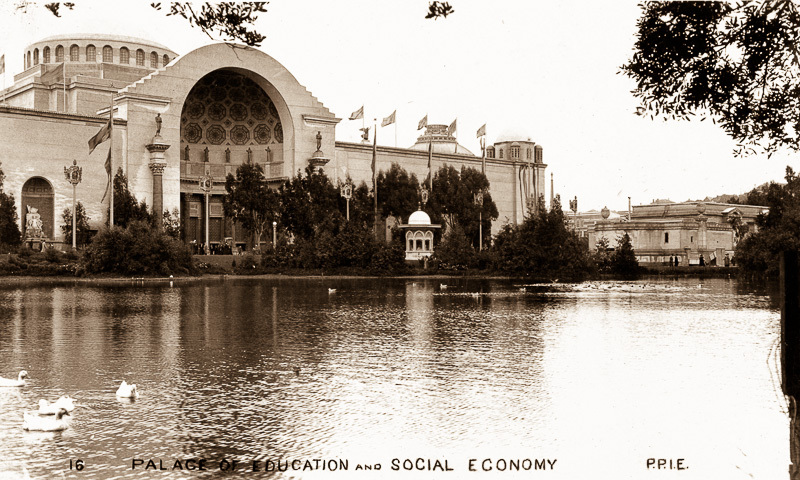 It was built with plastic and burlap buildings in what is today the Marina district of San Francisco. 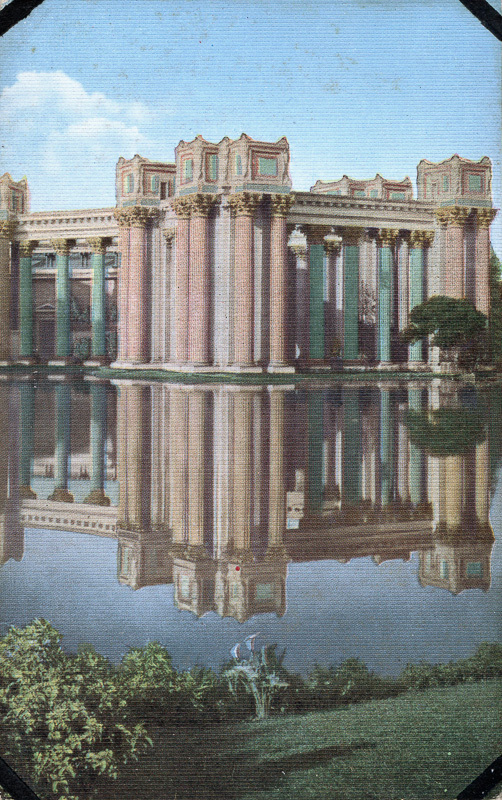 Bernard Maybeck's Palace of Fine Arts is the lone remaining structure. 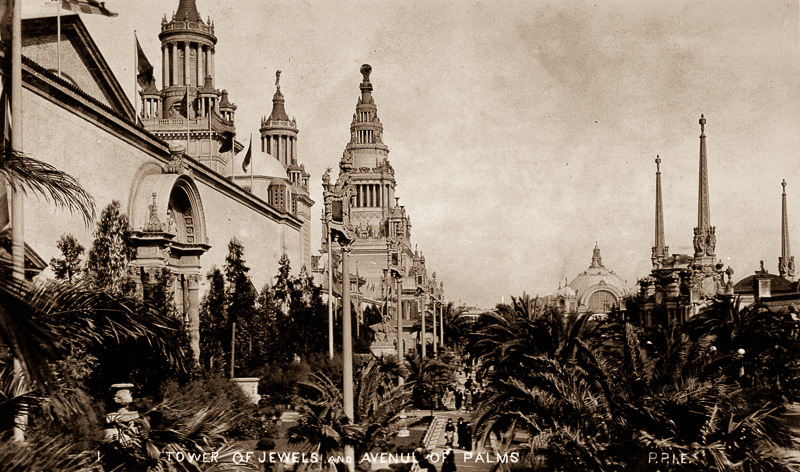 But the centerpiece at the time was the 435-foot Tower of Jewels with its 100,000 cut-glass Novagems. 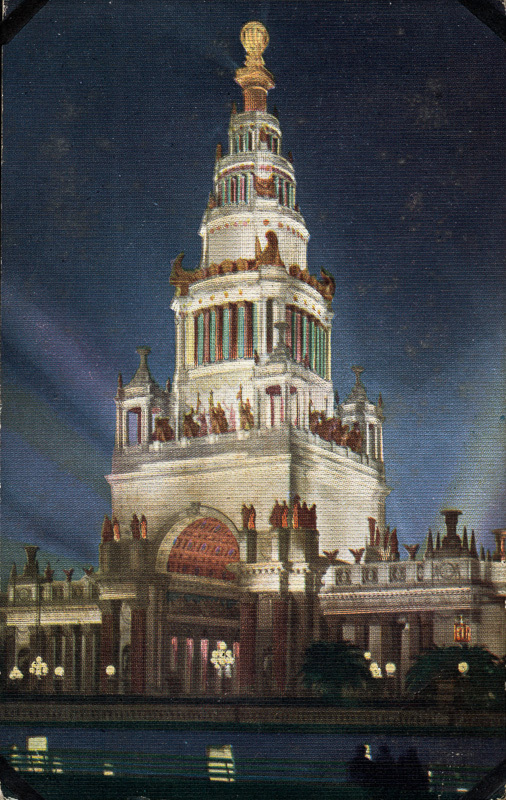 The Fountain of Energy flowed in front of the Tower at the center of the South Gardens with the Palace of Horticulture on the west and the Festival Hall to the east. 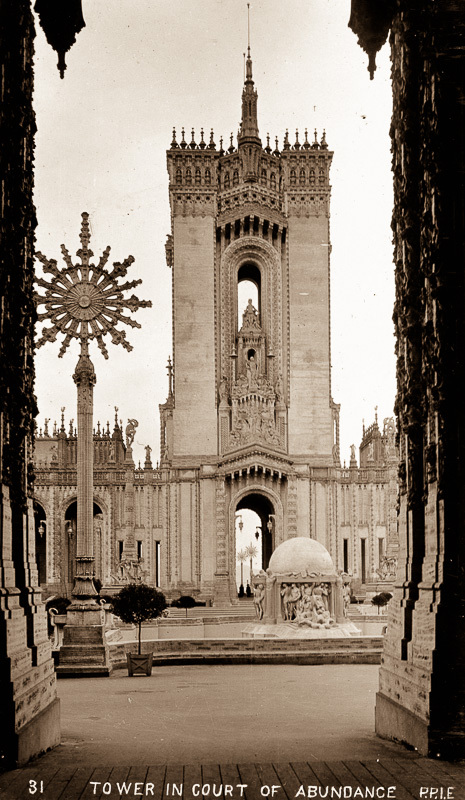 You went through the arch of the Tower to the Court of the Universe which led to the Court of the Four Seasons to the west and the Court of Abundance to the east. In the courts you could find the Food Products Palace, the Education and Social Economy Palace, the Agriculture Palace, the Liberal Arts Palace, the Transportation Palace, the Manufacturers Palace, the Mines and Metallurgy Palace and the Varied Industries Palace. 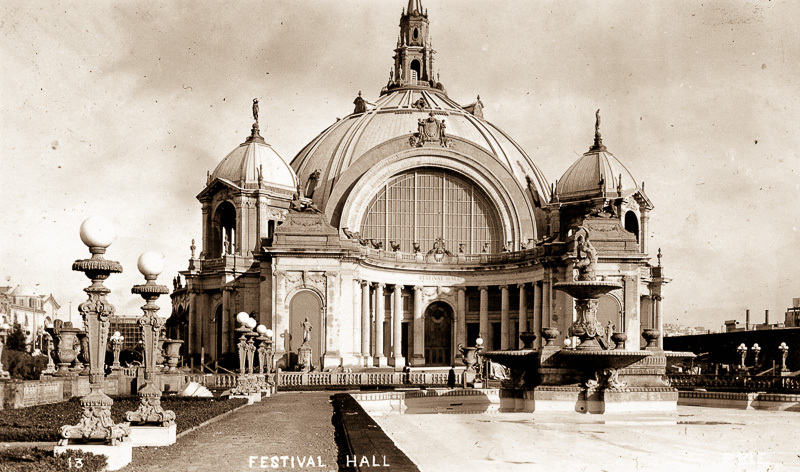 The Machinery Palace, the largest hall, dominated the east end of the central court. 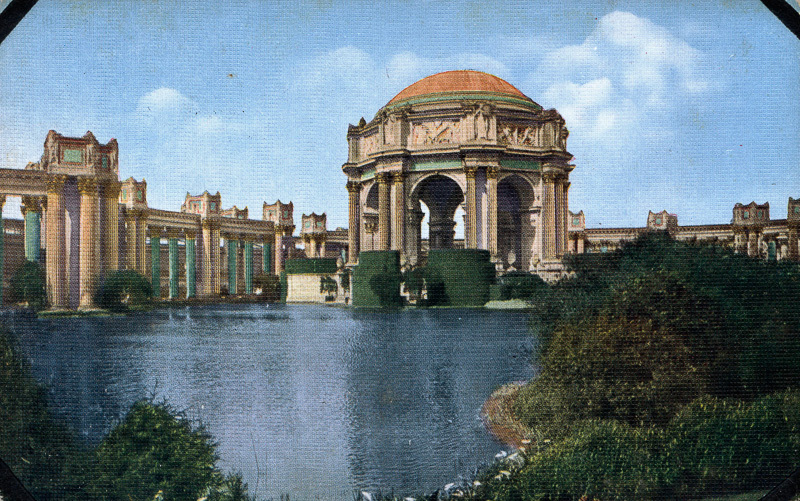 The west end of central court was occupied by the Palace of Fine Arts. Beyond it toward the bay down The Avenue of the Nations were the buildings representing various nations and states. 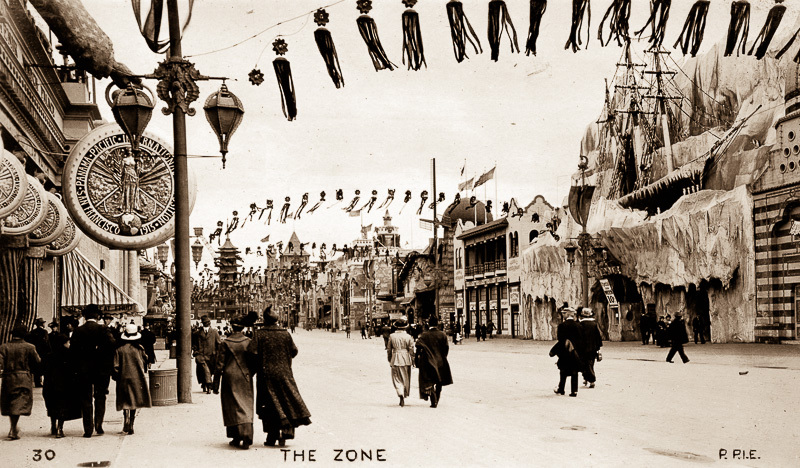 At the other end of the Fair by Fort Mason was The Zone's popular amusements and concessions stands. We used a CanoScan 9000F flatbed to scan the mounted cards. Reflective scanning is not very demanding and any flatbed should be able to do it very, very well. It was a little tricky to get the pages to lie flat but we have tricks up our sleeves, including our right arm, which we used to compress the album against the glass while our left hand navigated the touchpad of our 13-inch MacBook Pro scanning station to control SilverFast. We left the cards mounted on their pages because the corners were glued. But this, after all, is Photo Corners so we don't have to apologize for leaving the photo corners in the picture. Real Photo Cards. 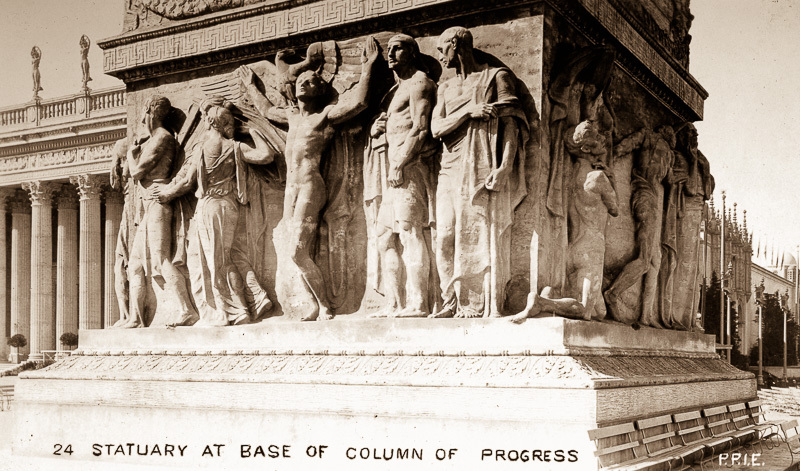 Popular until color photography became practical. 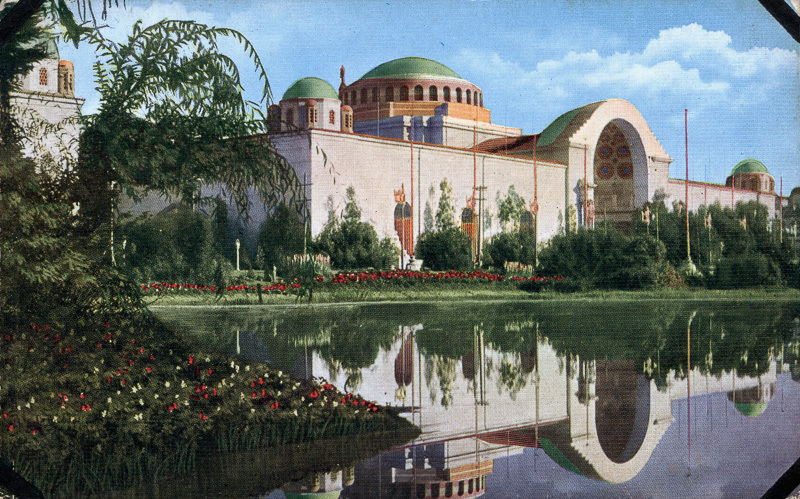 Color Post Cards. 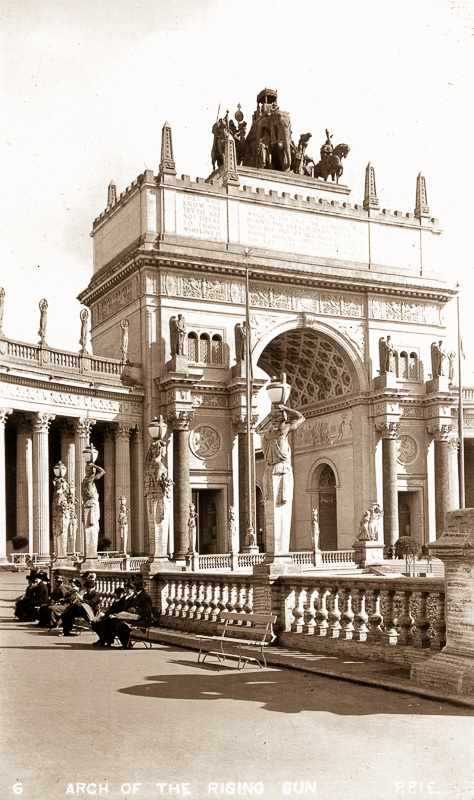 All paintings before color photography but similar compositions to the photos (identical in some cases). Ah, SilverFast. There's always something. In this case, it was the Rotation tool that annoyed us. There are handy (well, essential) keyboard commands to rotate clockwise and counter-clockwise. But it a frame is active, they are ignored. You have to click outside the scanning frame to deactivate it before you can use the keyboard shortcut. SilverFast is plagued by little gotchas like that. They make some sense when you figure them out but they are not obvious. We had the same problem rotating the frame. There are established conventions for rotating a selection. Hover outside a corner, for example, and the rotation tool should appear. SilverFast Handles. Half moons are for rotating. Not with SilverFast (which does predate most conventions). You have to use the little half-moon icons in the middle of each side to enable rotation. The problem is that the middle is a lousy fulcrum. A corner gives you more control. After setting our scan parameters we used the one feature in SilverFast we really do treasure. It's the Pipette that lets us pick what should be white and what should be black. We did that for one postcard and used the setting for everything. And, for all its small aggravations, SilverFast delivered beautiful color-corrected scans that required very little attention afterwards. That attention was provided by Lightroom CC, as usual when we work in batches of images. We did add a very little Clarity to sharpen the full-size images. 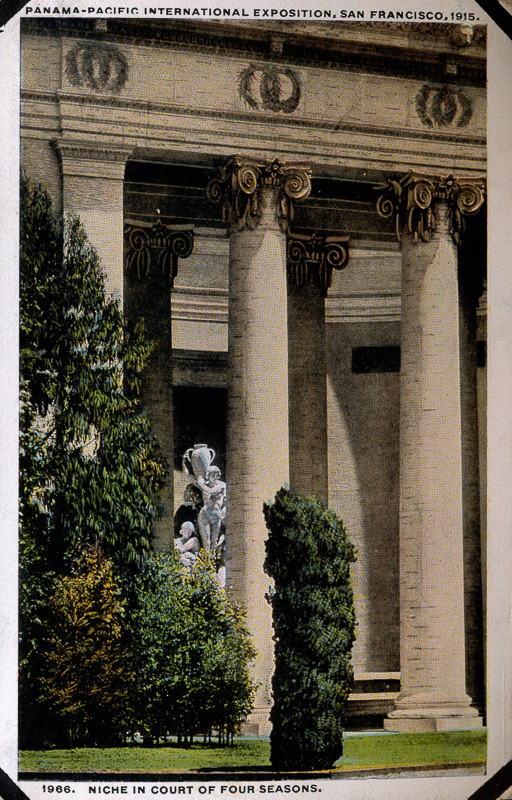 On the Real Photo postcards we opened the Shadows while darkening the Highlights (sometimes) but we didn't do that to any of the color Postcards. 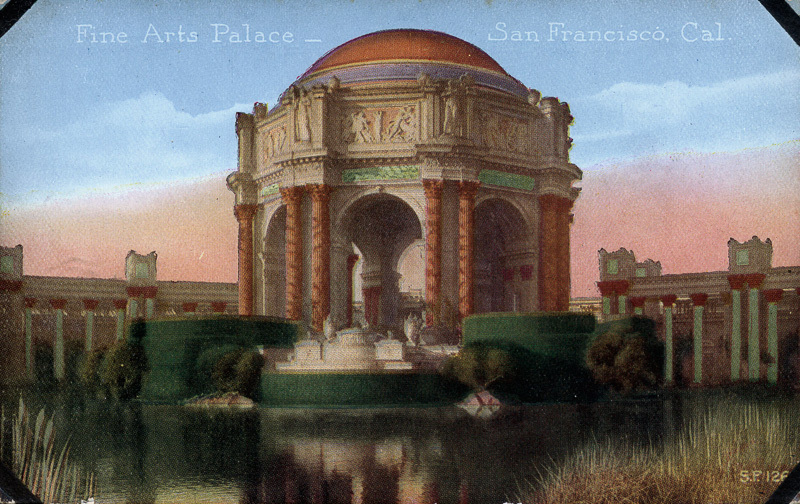 And we gave the Real Photo postcards a sepia tint they didn't have to mask some discoloration. 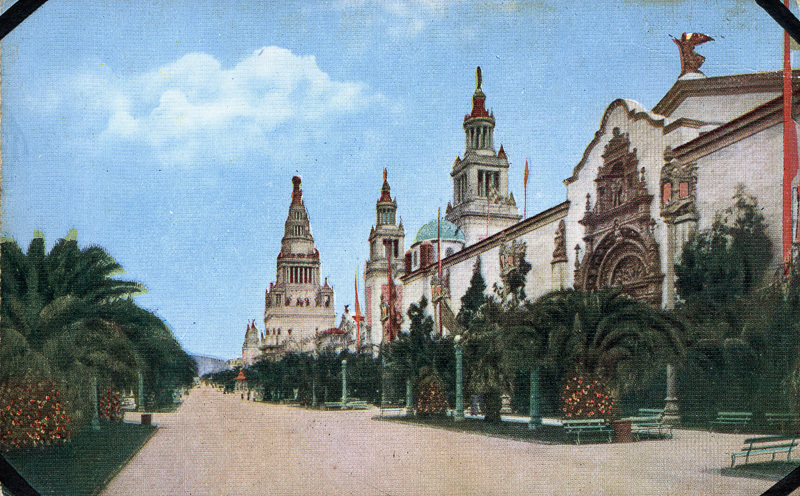 San Franciso is in the midst of its celebration of the 100th anniversary of the Exposition. 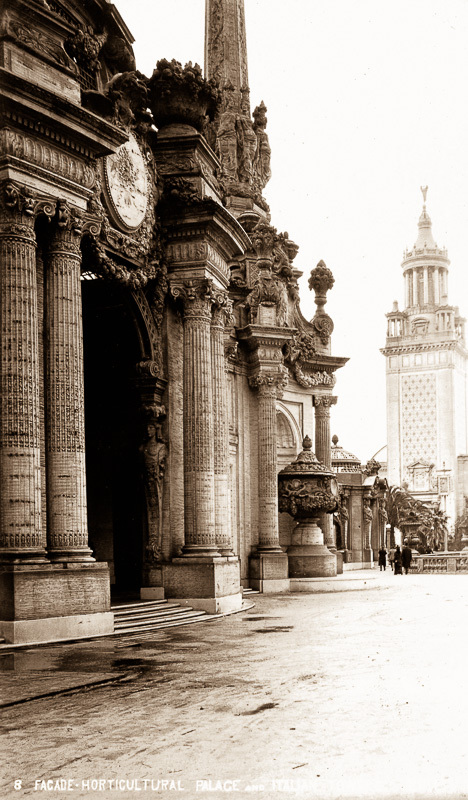 Among the events is Portals of the Past: The Photographs of Willard Worden, an exhibition of one of the Exposition's official photographers at the de Young Museum in Golden Gate Park. 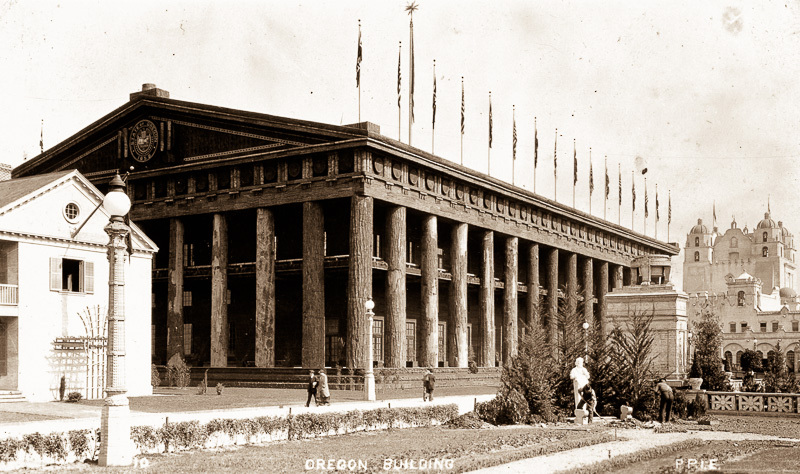 And HistoryPin has even more to photographs to browse through. 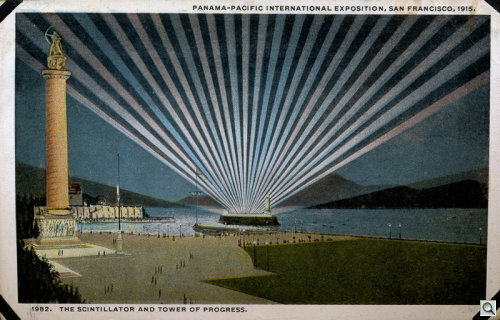 Among the technological wonders of 1915 was the first cross-country phone call. It would take a while to becoming ordinary but long-distance calling eventually did. And tech isn't the only thing that can take a while to develop. 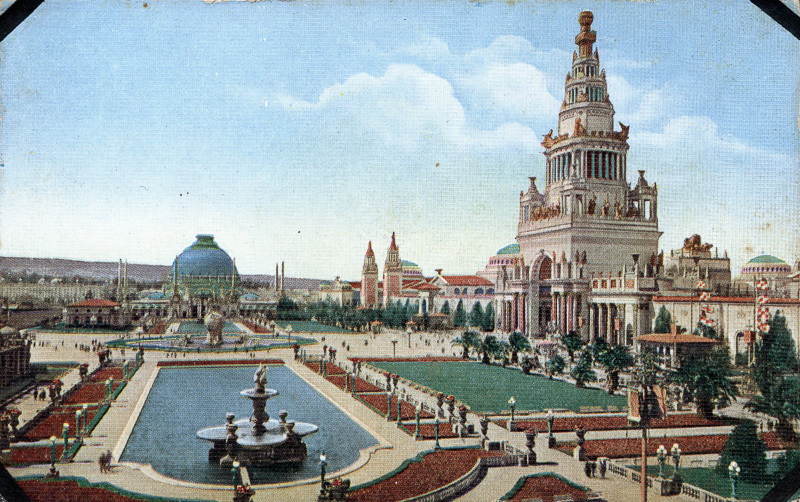 It's amusing to think that 100 years ago our grandparents visited the fair and collected these postcards as mementos. 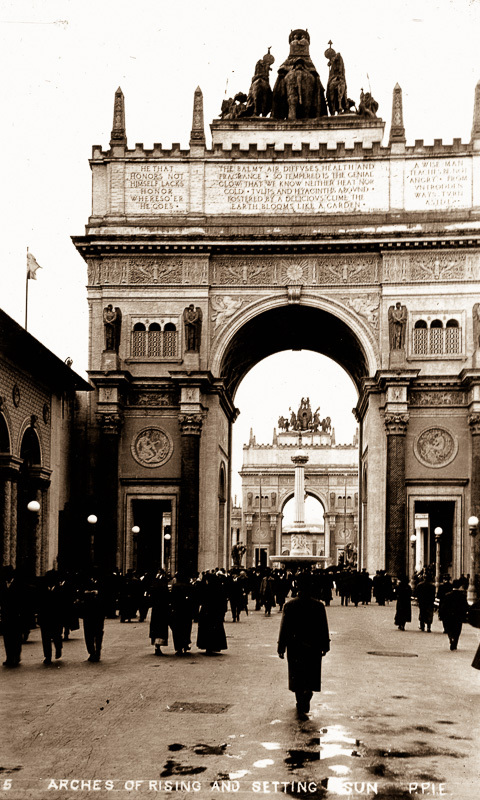 They were just children, one from San Franciso (who had arrived from Italy just days before the 1906 conflagration) and the other living in the countryside (present-day Concord). It would be years before they met at a dance in Oakland and started a family of their own. 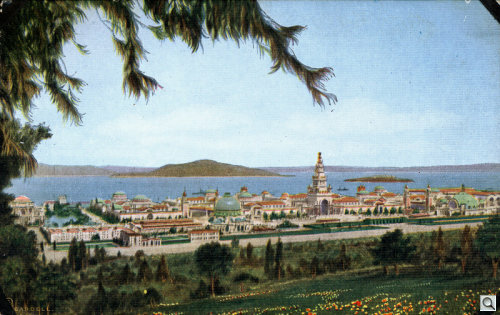 And in that family one son would travel with his father and little brother to the 1966 World's Fair in New York without realizing his better half of nearly 40 years now would be there too. It would take years before they met, too. 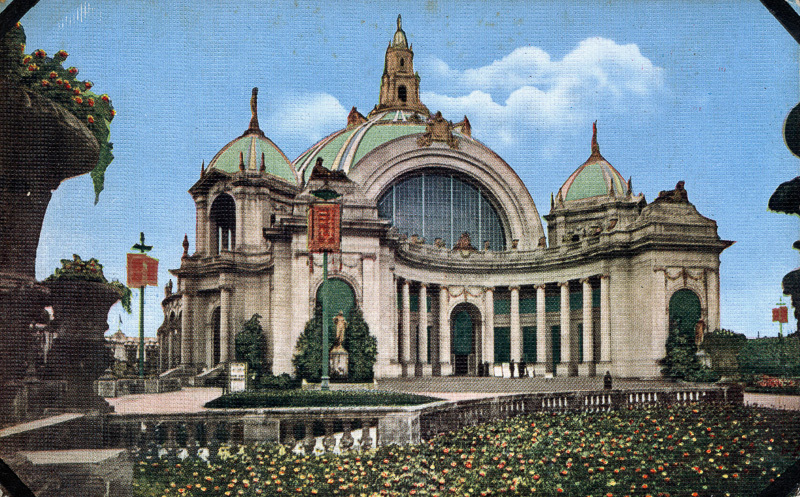 But as it said on construction walls surrounding the unfinished Belgian exhibit in 1966, "Sometimes good things take a little longer."